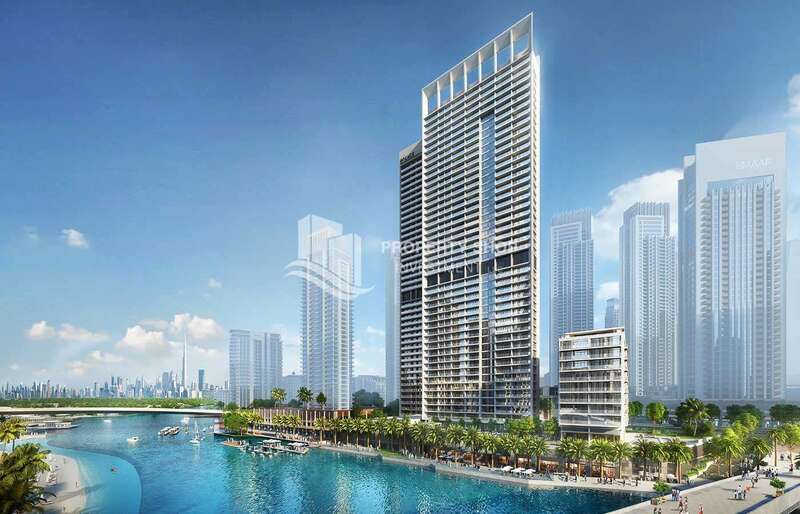 The Palace Residences located on Creek Island Dubai’s promenade with views of Dubai Creek Tower – A New Global Icon of 21st Century, this new architectural landmark will comprise one contemporary 46-storey towers rising above the Creek Canal and Creek Beach. Iconic views, access to Palace Hotel amenities and closest proximity to the pedestrian bridge leading to Dubai Creek Tower, will make Palace Residences one of the most sought-after addresses in Dubai. 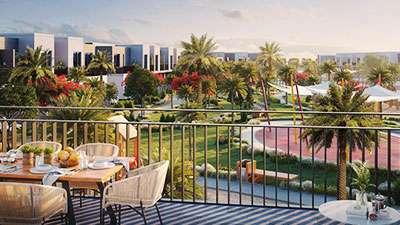 The luxury of living nearby Dubai Square – A Gateway to Global Retail, high-end Restaurants and Cafes, stunning Creek Marina and all that in a well-connected community with dedicated metro stations represents the future of living. One of the main reasons why investors choose to buy off-plan property is the profitability it can bring even before the project reaches completion. The main advantage of buying property off-plan is the ability to secure the purchase at below market value. Some developers also offer additional discounts for investors purchasing multiple properties at one time as an added incentive. With so many off-plan property options available in Dubai right now, you’ll definitely locate which type of property will fit your needs and requirements. You need to educate yourself about the risks and rewards of buying an off-plan property and weigh your options accordingly.The best investment opportunity always comes along with the most reputable property developers in Dubai such as Emaar. Emaar Properties – the developer behind some of the most iconic structures in Dubai including The Burj Khalifa, The Dubai Mall, and The Dubai Fountain to name a few. The Branded Residences across the world clearly give you a higher distinctive advantage and have shown historically to provide higher capital appreciation when compared to unbranded residences. The Palace Residences by Emaar represent Branded Residences which as an investment for you will avail up to 30% higher capital appreciation. The most common question you always ask yourself, whether it’s your day-to-day decisions or investment opportunity – Why? To break it down, let’s see how profitable is your investment putting into consideration you’ve already made up your mind to buy a 1 BR at Palace Residences. The starting price for 1 BR is 1 million, based on the payment plan, the down payment is 5% of the total amount (50,000 AED) and the 45% of the total amount you have to pay during the construction period (3 years), meaning in the first 3 years you pay 150,000 AED per year. On the completion date (expected – December, 2022) you should pay 10% of the total amount (100,000 AED). The remaining 40% is payable 3 years post completion (133,333 AED per year). This means that after the completion date the actual amount you will pay for the remaining period of your payment plan is only 13,333 AED per year if you rent it out for 120,000 AED. These are just some of the reason why buying off plan makes sense, however, it is worth noting that just like with any other investment, not all off-plan projects are worth investing in. There are some great projects in the market and there is definitely some not so great projects in the market which don’t come with the above-mentioned benefits. This is why it always pays to do your due diligence and engage the help of an off plan property specialist to help you make sense of it all and steer you in the right direction. Buying an off-plan property in Dubai has its pros and cons. It is true that off-plan properties have several risks and factors that affect the construction of a particular project. Here are few things you need to look at when buying an off-plan property in Dubai. Project delays – the most common issue is that a project will be delayed. It may take few years after its due date for the investors to receive their property because of certain issues while some projects have been cancelled i.e. construction issues, market condition, etc. Quality risk – do not just rely on well-presented brochures, some developers do cost cutting and it doesn’t always turn out the way you expect it. Go for developers with a strong reputation of providing best quality properties. Market risk – this type of risk occurs in all markets across the world. It happens when purchasing an off-plan, you will risk a decline in property values between the time you pay the booking fee and when receiving the keys for handover. Financial risk – buying an off-plan property usually comes with a payment plan and you need to keep up with the date of payments. However, the risk can be a sudden change in your financial circumstances i.e. you lose your job, interest rates might increase, and insufficient mortgage loan. In order to minimize these risks, the Dubai government has introduced numerous measures catering both developers and investors. The Dubai Land Department (DLD) and its sub-agency Real Estate Regulatory Agency (RERA) deal with all property transactions in Dubai. 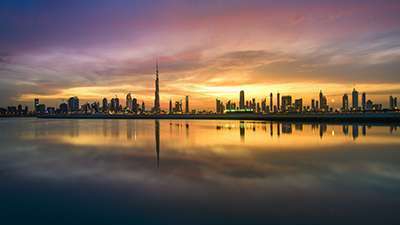 The sector introduced numerous regulations which must be met by both developer and investor relating to service and transfer fees, breaches of the sale contract, and the role of escrow accounts for every purchase of off-plan properties in Dubai. 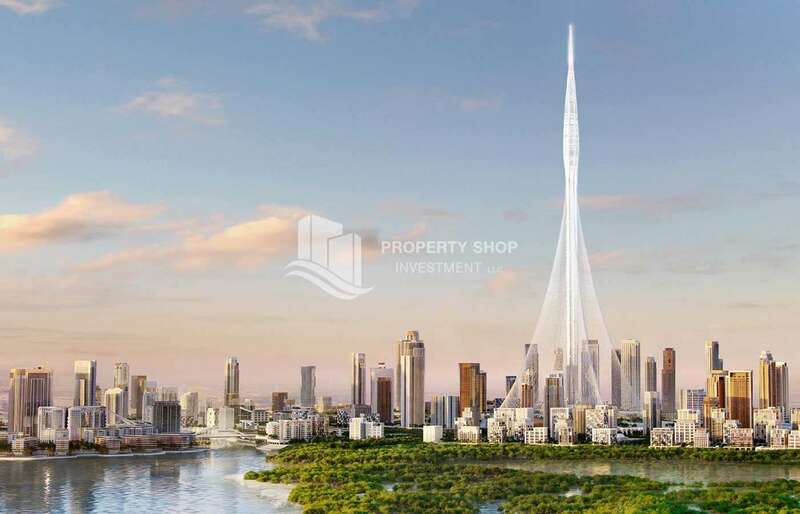 Property Shop Investment is the largest private effective real estate company in Abu Dhabi and has successfully achieved prominent brand recognition through the past decade of our outstanding and sustainable long-term performance. As a recognized and awarded full-service brokerage firm, PSI is known not only for achieving targets, but also for exceeding expectations. Aiming for the highest performance in our industry, PSI has been pleased to receive numerous awards such as Annual Broker Awards 2018 by Emaar, Top Performer by Aldar 2017, Number One Real Estate Broker every year since 2011 in Abu Dhabi and many more. Emaar Properties, Aldar, Meraas, IMKAN, Mesab, Bloom Properties, Dubai Properties, Hydra Properties, AZIZI Developments, Ellington, Manazel, Burooj, Green Emirates, Profile Group, Real Estate Bank, Damac Properties as well as major finance providers in the UAE such as ADIB, Dubai Islamic Bank, Abu Dhabi Finance, Mashreq Bank, NBAD, ADCB, Al Hilal Bank and more. 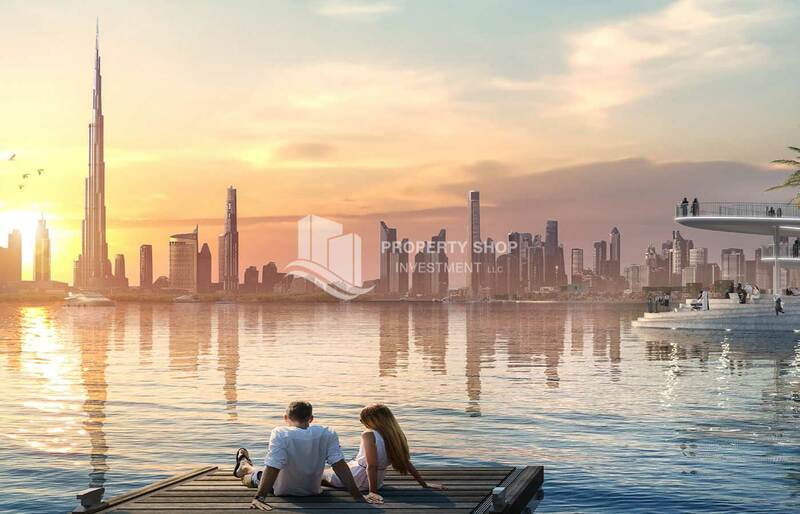 We at Property Shop Investment have gone the extra mile to satisfy our clients by providing additional services and privileges from our valuable partners and we ensure that developers will contemplate them as priority. We compile your real estate experience and save your time and money by providing professional advisory from our highly experienced team that will guide you to select the best solutions and assist you to fully understand the project details which shall lead to ultimately achieving your goals as an investor or end-user. • Growing every year in terms of inventory, employees & awards.